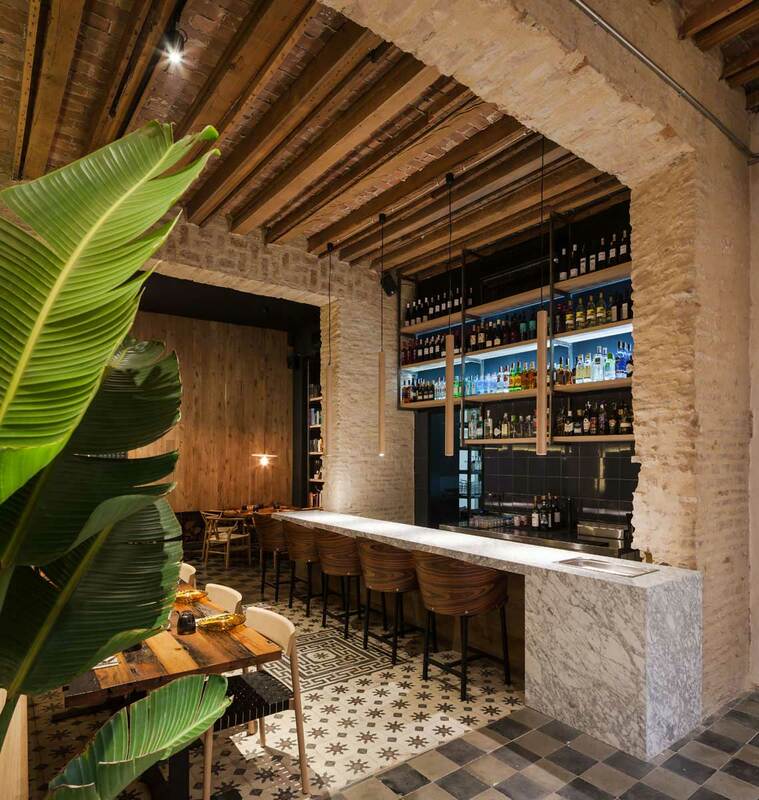 An Old House in Seville gets Transformed into a Tapas Bar by Donaire Arquitectos. 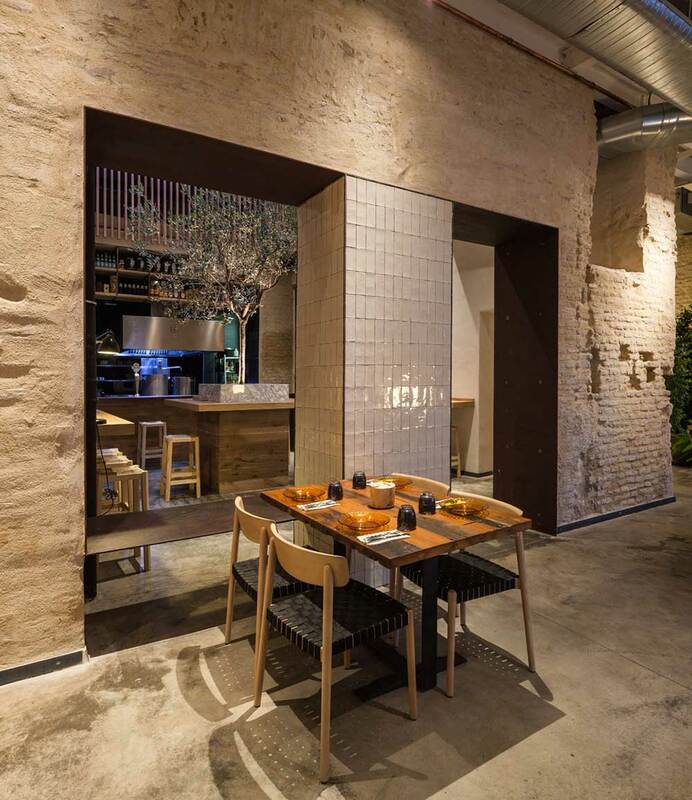 In the heart of Seville, the city that draws visitors for its remarkable history and architecture, sits Perro Viejo, a restaurant designed by Donaire Arquitectos. 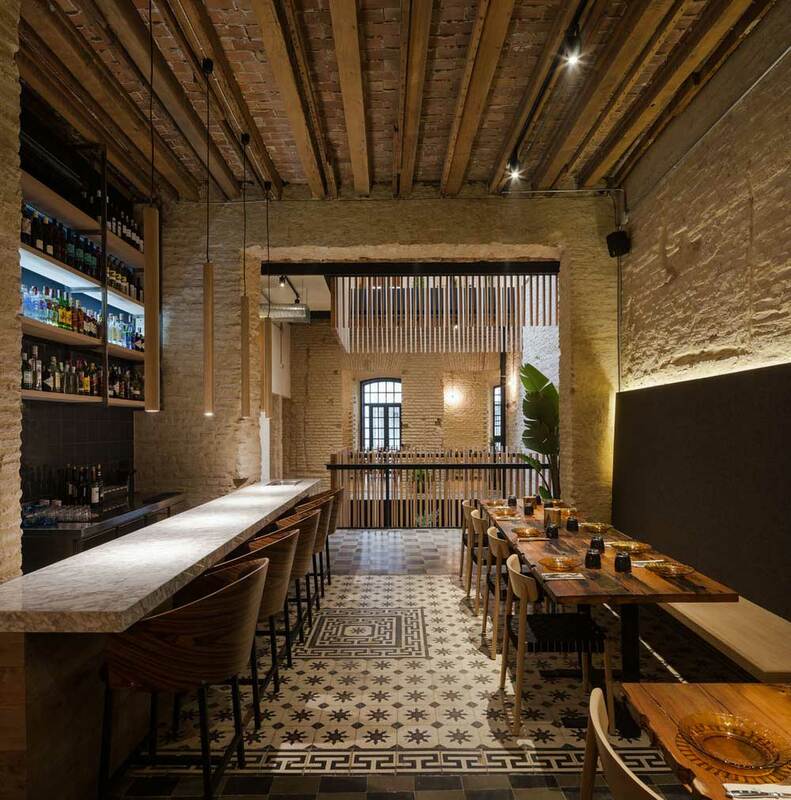 Perro Viejo was converted from a home near the monumental Cathedral of Seville into a tapas bar and restaurant, representing a prefect union of the old city and contemporary design. 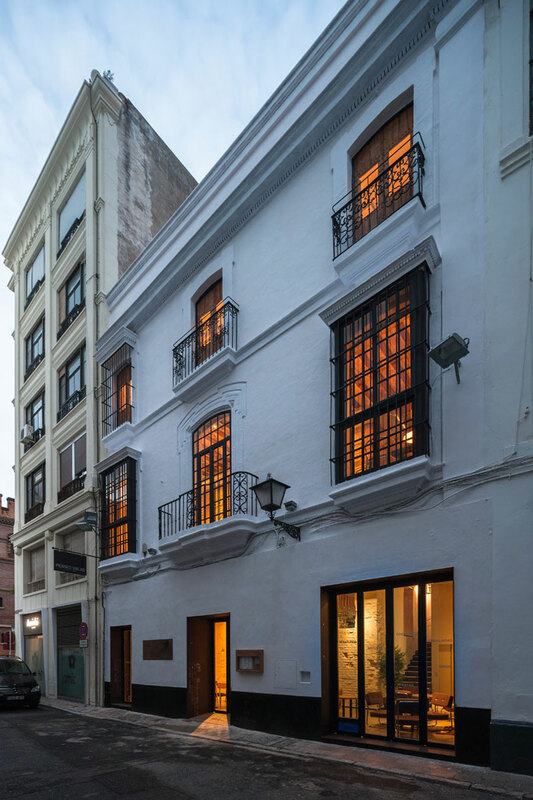 Delicate ornamentation of Moorish tiling, intricate detailing of Castilian rule, Romanesque arches, colonial architecture, clay tiles and ornate ironwork balconies – it seems as though the entire Seville’s architectural history is chronicled within the interior of this restaurant. 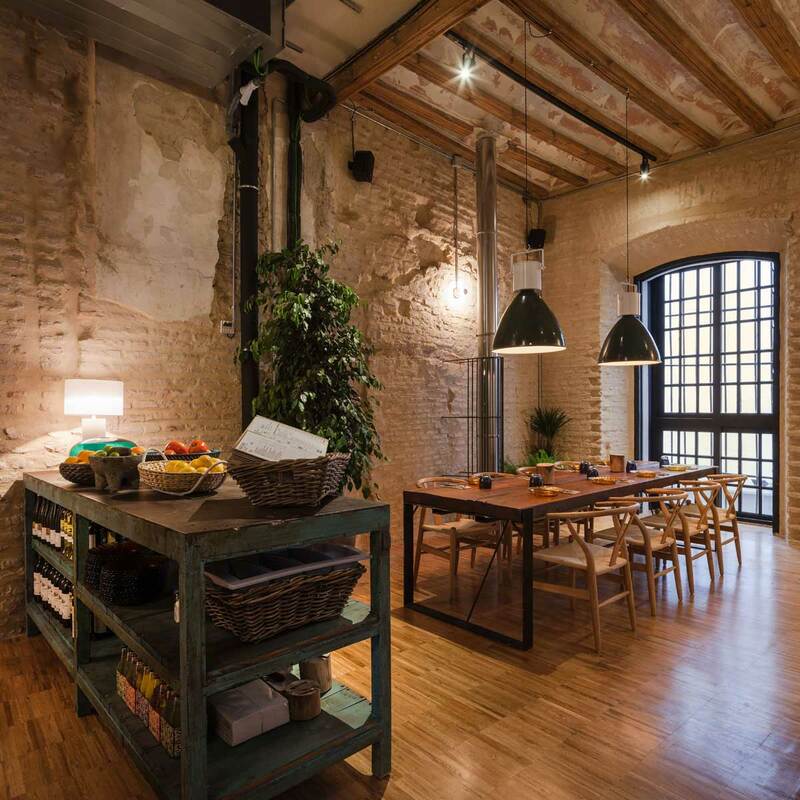 Original brick walls, historic woodwork, faded bordellos, rough edges and intriguing irregularities add to the robust yet delicate character of the space. 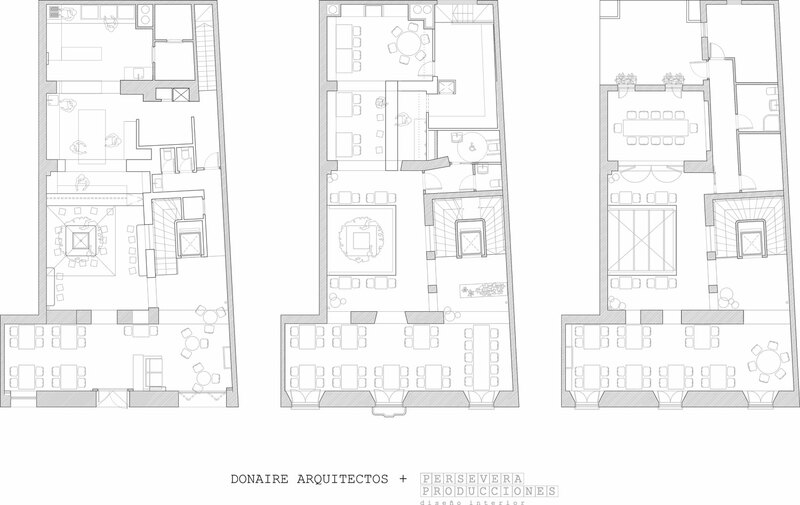 The entire floor-plan revolves around this central open space where greenery is drawn up into the atrium space with views of Seville skies. 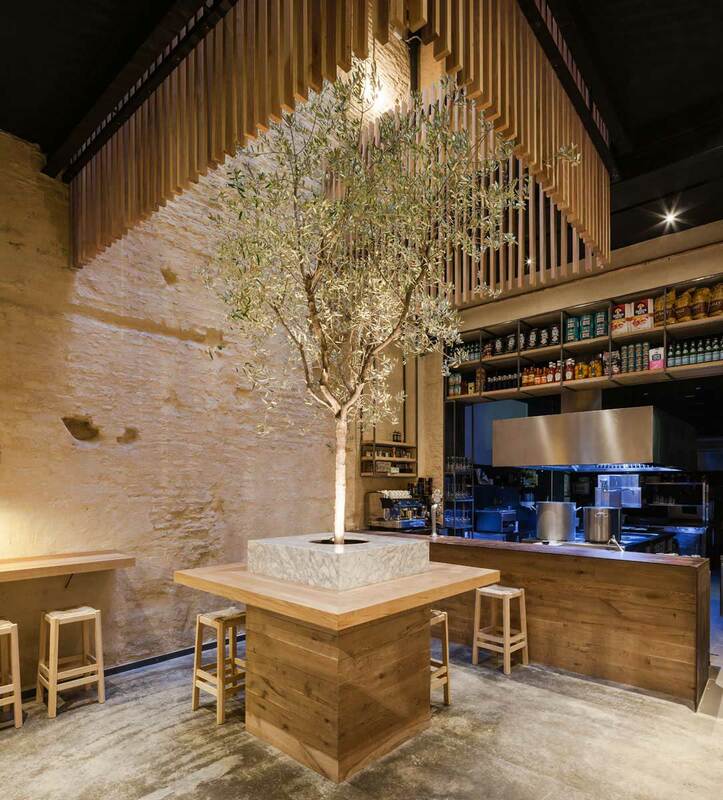 At its core, an olive tree stretches up and out from a bar table, visually lifting the entire room up towards the source of natural light. 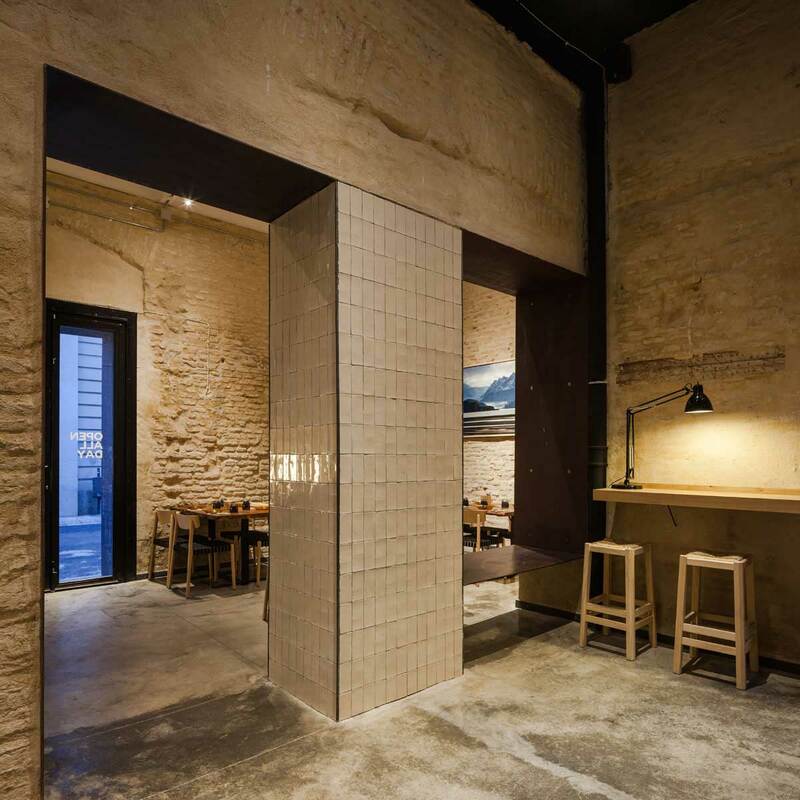 Simple and sublime. 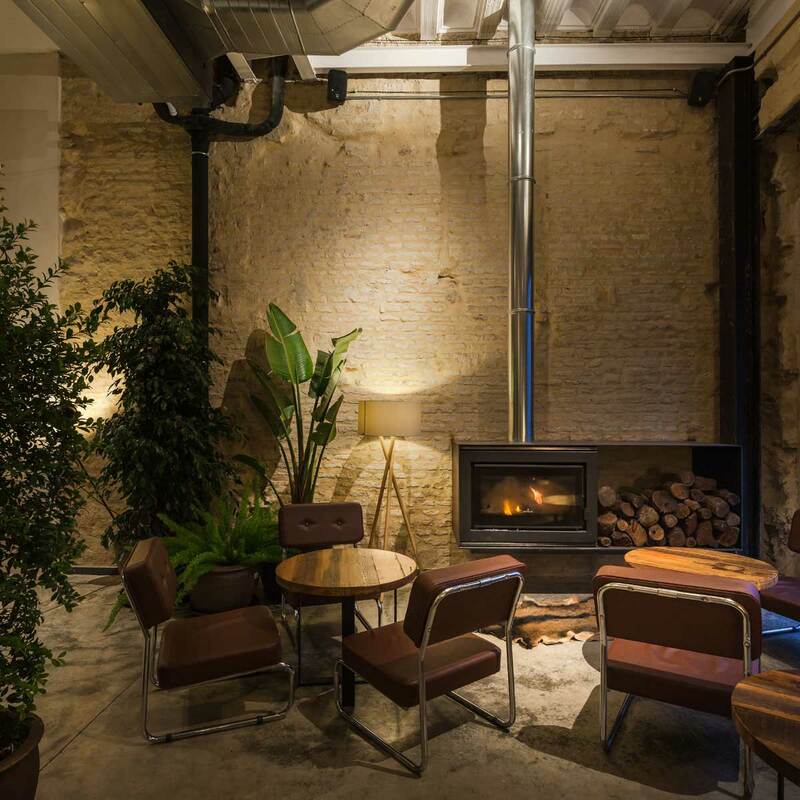 So Hot Right Now: Trees In Interiors. 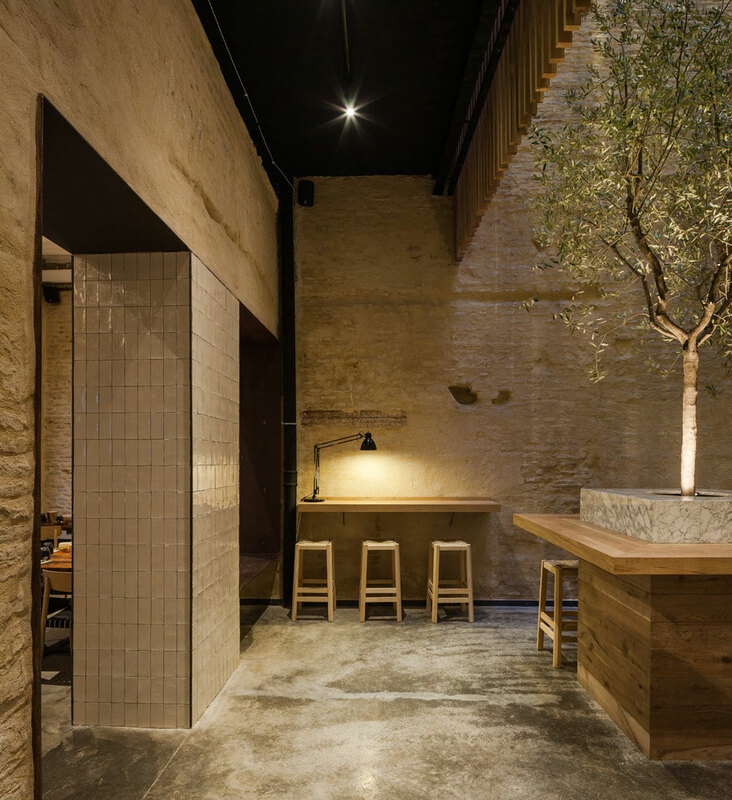 Stories On Design: Trees In Interiors, Revisited. 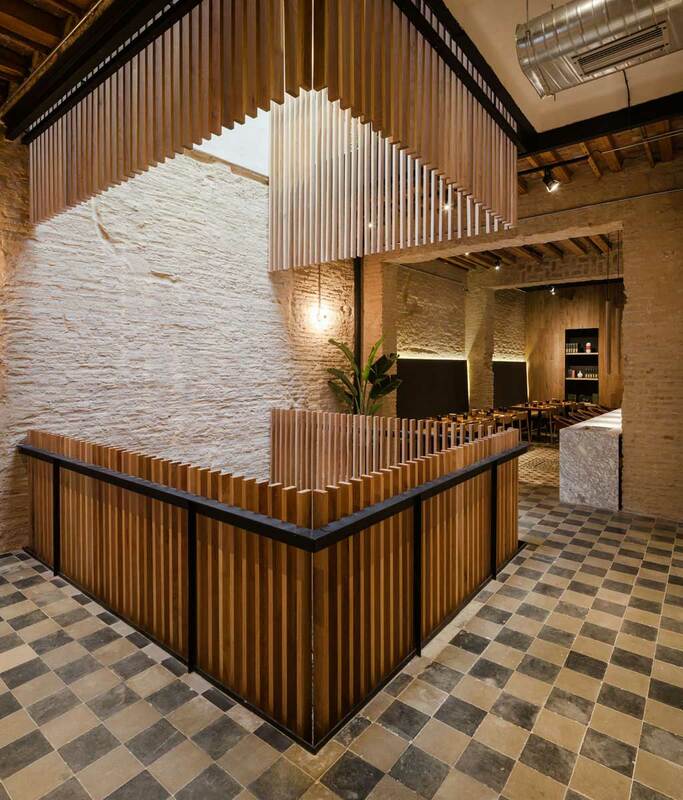 31 Boutique Residences at Elwood House Designed by Woods Bagot & Hecker Guthrie.